Acupuncture is a complementary medical technique originating from traditional Chinese medical practices that has been used for thousands of years and employs the use of needles inserted at specific areas of the body to stimulate points. The stimulation of these points help to improve specific body functions and promote self healing. 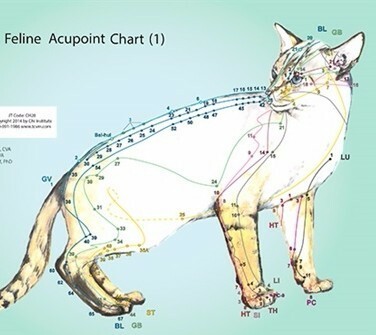 There is extensive literature documenting the benefits of acupuncture in treating numerous conditions in veterinary patients, including kidney and bladder disease, arthritic pain, musculoskeletal conditions, allergies, and behavioral problems. Acupuncture can be used as a sole treatment or used in conjunction with other holistic and traditional western medicine. We are currently not offering acupuncture here at our facility. Until we can find another veterinarian to offer this service here at our hospital, we will provide you with a list of practices in the San Bernardino and Riverside county that offer this treatment modality should your pet be in need of acupuncture.